This week’s Voxmeter survey for Ritzau shows the Dansk Folkeparti (DF, Danish People’s Party) on 18.7 per cent of voting intentions, their best tally in over 20 polls published so far this year. The populists have been standing well below the 21.1 per cent vote they achieved in Folketinget elections in June 2015, dipping as low as 14.8 per cent in YouGov’s February survey for MetroXpress. And in every poll except today’s one they have been trailing in third place behind the liberals of Venstre, who lead the minority coalition government. That position is now reversed with Venstre down to 16.6 per cent – the lowest polling for PM Lars Lokke Rasmussen’s party with Voxmeter this year (although one other pollster, Greens, has shown worse). Otherwise the party scores are well within the bounds of 2017’s polling so far. At 27.4 per cent the opposition Social Democrats are down on the previous week’s Voxmeter total by 1.2 per cent, but close to the average of scores they have achieved across all pollsters this year, with outliers being at 25 and 29 per cent. One of Rasmussen’s coalition partners, the Konservative Folkeparti (KF, Conservative People’s Party) reaches its highest score of the year with Voxmeter, and joint highest with any pollster, at exactly 5 per cent. The other, the Liberal Alliance, stays solid at 6.1 per cent. Fieldwork: 06.03-11.03.2017. Published (on Voxmeter website): 13.03.2017. Participants: 1034. Methodology: Telephone poll. 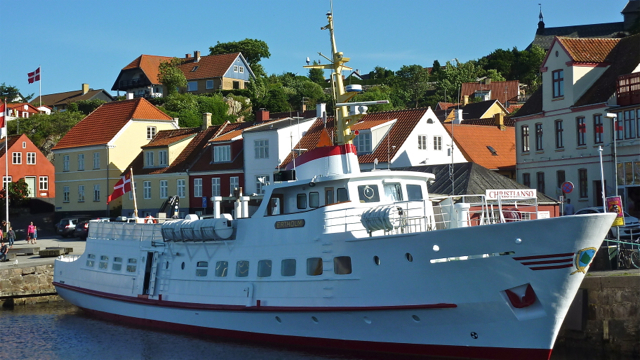 Photograph: Ferry on Bornholm island, Denmark. Photo: Andrew Cornwell. All rights reserved.